As we celebrate International Day for Maternal Health and Rights, the documentary The American Dream shares varied maternity experiences in Black women's own voices. April, a mother featured in The American Dream, looks out the window of her home during an interview with the filmmaker, Paolo Patruno. The American Dream is part of the Birth is a Dream documentary project created in 2011 by Italian filmmaker Paolo Patruno to bring attention to untold maternity stories across the world. The film encourages viewers to consider a more positive future for Black maternal health even as it shares the startling and shocking reality of the disproportionately high rates of maternal death in the Black community. On documenting maternity experiences of African women (99% of all maternal deaths occur in developing countries) and of Black women in the United States, Patruno says, "I found many more similarities than differences. Maternal health is not just medical; it is a cultural and social matter [on both sides of the Atlantic]. It is mainly a story of social issues, of race, and of women's empowerment." Black women in the United States are three to four times more likely to die from pregnancy-related causes than white women, and two times more likely to suffer from severe maternal morbidity such as excessive bleeding, shock and heart problems. Black women's interactions with the health care system can also vary from that of white women. Stories of mistreatment, disrespect and negligence have been documented in various reports such as "Reproductive Injustice," "Doula Care in New York City" and "Deadly Delivery." In The American Dream, quietly released last November, Black women share their pregnancy and childbirth experiences in their own voices, an intentional device. "We mainly asked them to share their own experiences and decided to leave it like that," says Patruno. "One of the main ideas behind the documentary is to let the women talk. We need to listen, to give a voice to the women." Joanne describes giving birth with the assistance of a midwife as "magical." "I felt so comfortable. I felt like I was in heaven," says the mother of seven. Joanne's story is one of many featured in the thought provoking documentary now available online. It will also be screened at the Women Deliver 2016 Global Conference in May. Hearing Black women's voices on pregnancy and childbirth is critical to understanding the reality behind the shocking statistics. Yet, the documentary captures what data and statistics simply cannot--the hope, love, joy, despair, frustration, and pain of Black women as they bring life into the world. Joanne, a mother featured in the film, is shown here with her midwife Jennie Joseph, whose own story is also featured in the film. For Joanne, childbirth wasn't always magical. Of the last time she gave birth at a hospital, Joanne describes being compelled to sit in a wheelchair in order to be moved to the delivery room even as her baby's head was emerging, simply because it was the hospital's policy. 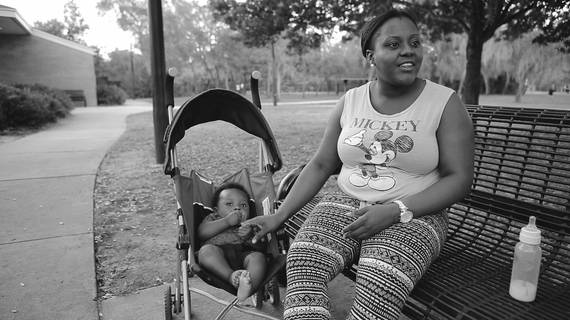 Young mother Alexis says she was disrespected by clinic staff because her health insurance was provided through Florida's Medicaid program. After being questioned by workers about why she was there she heard one of them comment, "That's another one of them with the gold card." Alexis asserts, "It shouldn't matter what type of insurance you have. Everyone should be treated the same way with the same care." Unfortunately, in the United States, the social constructs of race and class matter. Jennie Joseph, a Black midwife trained in the United Kingdom and founder of the U.S.-based Commonsense Childbirth Inc. explains, "The history of Black women in [the U.S.] is still to this day playing out. The legacy of the negativity of that history, especially surrounding their health, continues to this day to plague us and to plague women and their families." And while the story could end there--as one of historical disenfranchisement and lingering despair--it doesn't. There is also a narrative within The American Dream that begs the question, What if all Black women could have safe and healthy pregnancies and respectful, comfortable, and even enjoyable birth experiences? Expectant mother Miracle beams as she holds her belly and tells of the joy her first baby will bring her, even as she recalls spending time in a shelter and searching for stable housing for her growing family. Miracle says she looks forward to giving birth naturally as she believes it will help her become closer to her baby. Miracle with midwife Jennie Joseph. April, a teacher and mother of two, chose to use a midwife after learning her health insurance would cover it. "Just being able to have freedom in the delivery process and being able to make many of the decisions for myself was empowering," she says. Working with a care provider who encouraged her throughout her pregnancy helped her to realize that she has control over the birthing process. "There's something I can do to help this along and it's not just something that's happening to me," she says. April also uses her pregnancy experience to show the young girls she teaches that they can have a healthy pregnancy free from trauma. The American Dream focuses on the lived experience of Black women and contributes to the body of evidence on Black maternal health. Through its striking visual appeal, it brings attention to the problematic racial disparities in American maternal health. 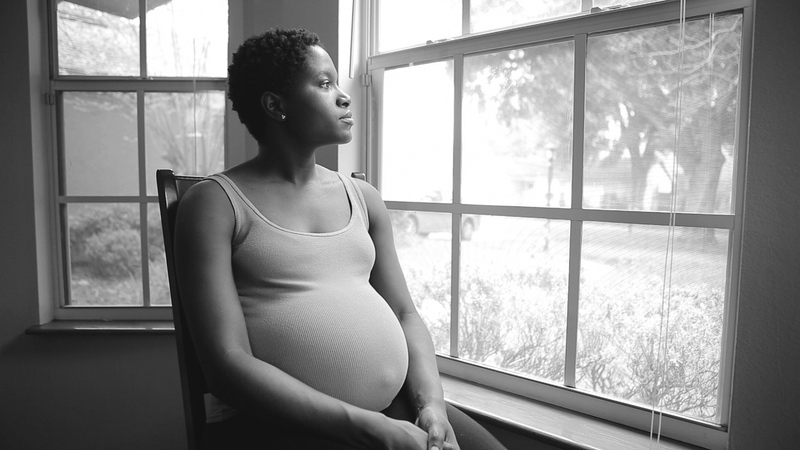 The film provides yet another tool to raise awareness and inspire action to protect and improve the health of Black women and babies in the United States. "Positive change can come only through social commitments made by people," says Patruno. "We need to push for change by sharing stories with a wide audience." Birth is a Dream is also accessible online at birthisadream.org. International Day for Maternal Health and Rights is on Monday, April 11, 2016.